Long before there were video games or paint-ball guns, my buddy Gale and I developed a game of our own called inner-tube baseball. It was an offshoot of Whiffle ball after our last plastic ball either caved in from overuse or got belted into the neighbor’s blackberries. All you needed for inner-tube baseball was a wood bat and an inner tube like any of the ones we all used to float down the Pilchuck River in the summers of our youth. But the game was unique in that you could only play it in my backyard, because of the ground rules. Muttsy was a pitcher’s best friend in inner-tube baseball, unless his chain on the drag wire cracked you in the head. Pitching and hitting was simple. You rolled the inner tube toward the batter, and he smacked it with the bat. Any tube rolling past the pitcher was a single. Past the pitcher in the air was a double. 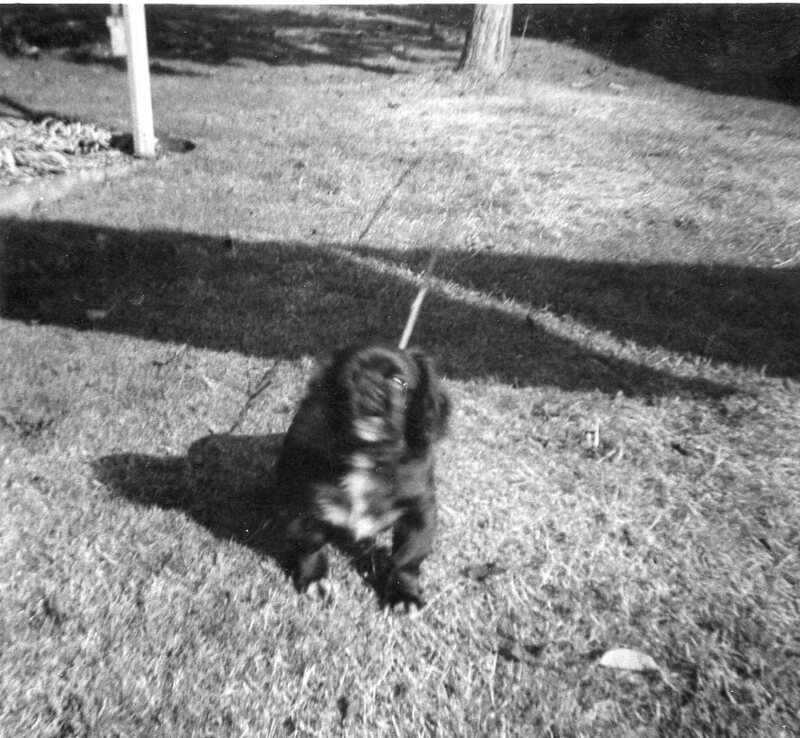 Past the pitcher and over my dog Muttsy’s elevated drag wire was a home run. The drag wire ran half the length of our backyard, six to seven feet off the ground, between the garage and the catalpa tree, just this side of the clothesline. The foul lines ran from home plate to the grape arbor in left field and from home to the corner of the chicken coop in right. Home plate to the drag wire was maybe 25 feet. There were also two fielding hazards to consider: 1) a raised water spigot roughly 12 inches high in right-center, and 2) Muttsy getting excited by any passing person or animal and racing blindly across the field, pulling his chain along the drag wire and head-smacking anyone in the way. There was no baserunning in inner-tube baseball. Every swing was either a hit or an out. Any tube snagged in the air was an out, whether it cleared the drag wire or not, and anything smothered before getting past the pitcher was also an out. Two tubes hit foul or any tube that happened to strike Muttsy, fair or foul, also constituted an out. And, as a carryover from plastic baseball, you had to announce who you were before every at-bat: Mantle . . . Mays . . . Maris . . . Yastrzemski . . . Frank or Brooks Robinson . . . Clemente . . . Kaline . . . Aaron . . . Alou (any of the three) . . . Frank Howard . . . Boog Powell . . . Tony Oliva. Gale favored the Giants and the Orioles, while I liked the Yankees and Twins. Gale’s dad once duck-hunted with Harmon Killebrew, so that made him a dual favorite in my yard. It was mostly a game of strength, as you had to hit it well to clear the drag wire. Anything popped up was caught, so you had to hit liners or launch like Willie McCovey. Grounders down either line had a chance to get through, but anything up the middle on the ground was an easy out. Being stronger, Gale had the upper hand from the start. Then my big brother Skip waded in to challenge the winner and he dominated. That eventually spelled the end for inner-tube baseball. That and the drag wire getting broken or pulled down so many times that it no longer functioned as a measuring rod or a dog restraint. Still, it was fun while it lasted. Even if I never beat anyone. It’s October, and I’m feeling a resurgence of baseball interest with the major league playoffs about to begin. I played baseball as a kid, and, after overcoming fear of failure, managed to gain confidence, if not athletic competence, on the Little League fields of Snohomish, Wash., home of Baseball Hall of Famer Earl Averill and a half-dozen other big-league players. Farther from home, my wife’s paternal grandfather and two other relatives played pro baseball in the early 1900s, and I’ve uncovered evidence linking her Irish immigrant great-great grandfather John Dolan to the national pastime as far back as 1861. Records confirm that Pvt. John Dolan did two tours in the Union Army during the American Civil War, the first a three-month stretch in Company H of the 10th Pennsylvania Volunteers, which was mustered less than two weeks after the war’s opening shots at Fort Sumter on April 12. 1861. That’s about the same time of year that baseball season traditionally begins. Known as the Allegheny Guards, the 10th became part of a 16,000-man force under Maj. Gen. Robert Patterson, ordered to occupy a force of Gen. Joe Johnston’s Confederates in the Shenandoah Valley in the vicinity of Harper’s Ferry and Winchester, Va., while the main part of the Union Army under Maj. Gen. Irwin McDowell attacked the main Confederate forces under Gen. P.G.T. Beauregard at Bull Run outside Washington. The idea was to keep Johnston from reinforcing Beauregard, but we all know that didn’t happen and Johnston’s arrival at Bull Run saved the day for the rebels and sparked a rout of the federals. A regimental history of the 10th from Samuel P. Bates’ “History of Pennsylvania Volunteers” suggests the Allegheny Guards went through spring training with the Yankees but saw little live pitching until confronted by an occupied toll house near the Potomac River. I love this story, because Capt. 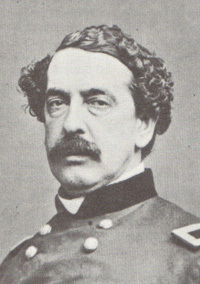 Doubleday was Abner Doubleday, mythically portrayed as the inventor of baseball in 1832 but more accurately perceived as the man who fired the first shots for the Union at Fort Sumter, where he was second in command to Maj. Robert Anderson. After an “0-fer” day batting leadoff at Sumter, these might’ve been Doubleday’s first hits of the war.